Faye Hixson-Valencik, 90 of 100 North Market Street, Mt. 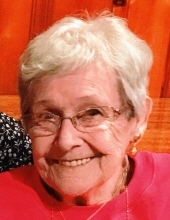 Carmel passed away on Tuesday, March 12, 2019 at her home. Born in Ashland on April 6, 1928 she was a daughter of the late Reuben and Mary (Rupert) Beaver. She was a 1945 graduate of the former Conyngham Township High School in Aristes. Faye was a member of St. Peter’s Lutheran Church in Aristes and was a life member of the Aristes Fire Company. Surviving are her daughter, Gloria Klemas; daughter in law Patricia Hixson, seven grandchildren, thirteen great-grandchildren, three great-great grandchildren; nieces and nephews. In addition to her parents, she was preceded in death by her first husband, Albert Hixson in 1974 and her second husband, Henry A. Valencik in 2010; three sons, Albert “Junie” Hixson, Gary Hixson and Edward Hixson; two sisters, Grace George and Lilly Koch; and five brothers, Milton, Troy, Russell, Carl and James Beaver. She was the last surviving member of her immediate family. Religious services will be held on Saturday, March 16, 2019 at 11:00 am at the Joseph J. Stutz, Inc. Funeral Home, 40 S. Market St., Mount Carmel, Joseph J. Stutz, III Supervisor. Rev. Alfred Bashore will officiate. Interment will follow in Aristes Cemetery. A viewing will be held on Saturday morning from 9:00 am until 11:00 am at the funeral home. In lieu of flowers, expressions of sympathy can be made to St. Peter’s Lutheran Church, Aristes or a charity of your choice. To leave a condolence for the family, please sign the guestbook at www.stutzfuneralhome.com. To send flowers or a remembrance gift to the family of Faye Hixson-Valencik, please visit our Tribute Store. St. Peter's Lutheran Church Aristes, Pa.
"Email Address" would like to share the life celebration of Faye Hixson-Valencik. Click on the "link" to go to share a favorite memory or leave a condolence message for the family.